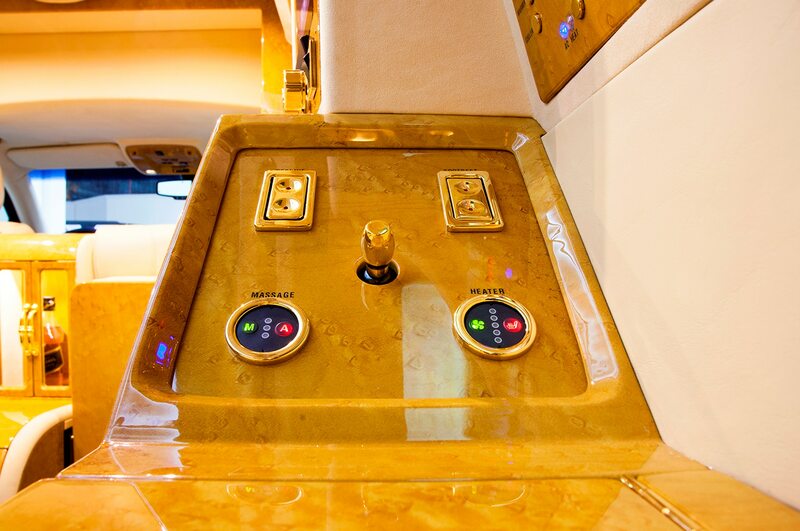 Luxury buyers have long flocked to the Cadillac Escalade, but the Lexani 2015 Cadillac Escalade Concept One caters to the truly super-high-end market. 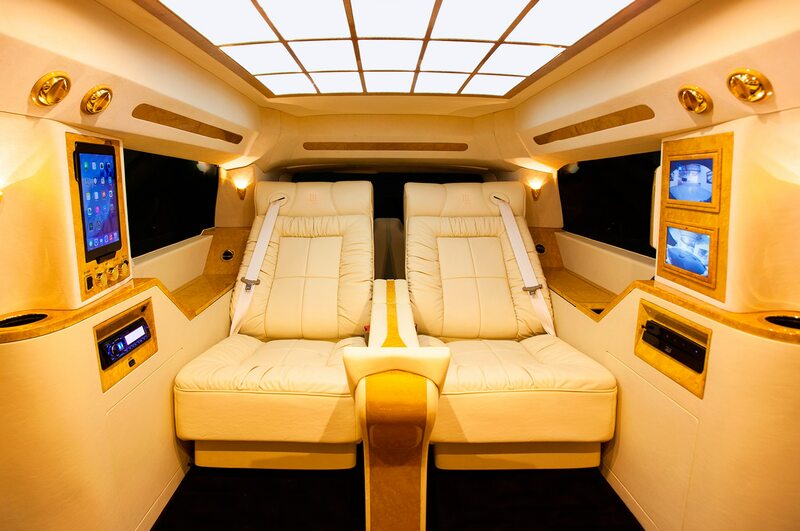 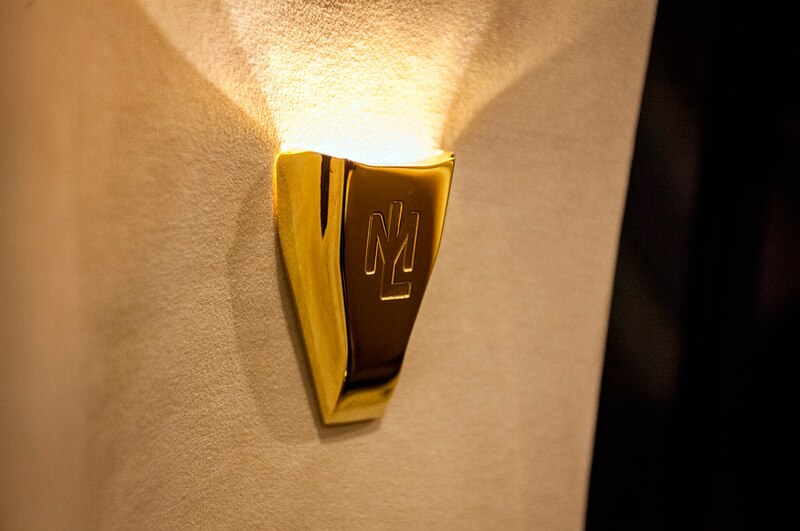 Luxury accessory company Lexani fully overhauled the Escalade’s interior to transform it into the ultimate executive coach, which now has an interior more similar to that of a private jet or a yacht than an SUV. 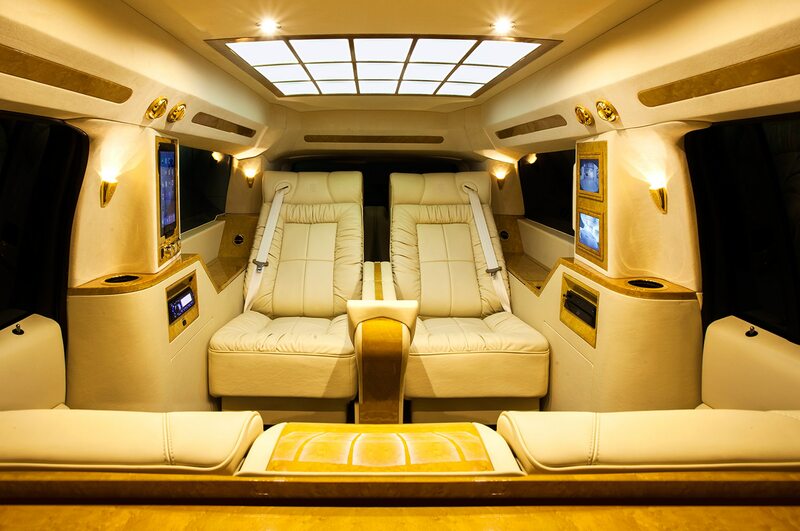 Using the 2015 Cadillac Escalade ESV as its base, Lexani’s biggest modification for the Concept One is a raised roof, along with paneled and illuminated, Maybach-style interior surfacing. 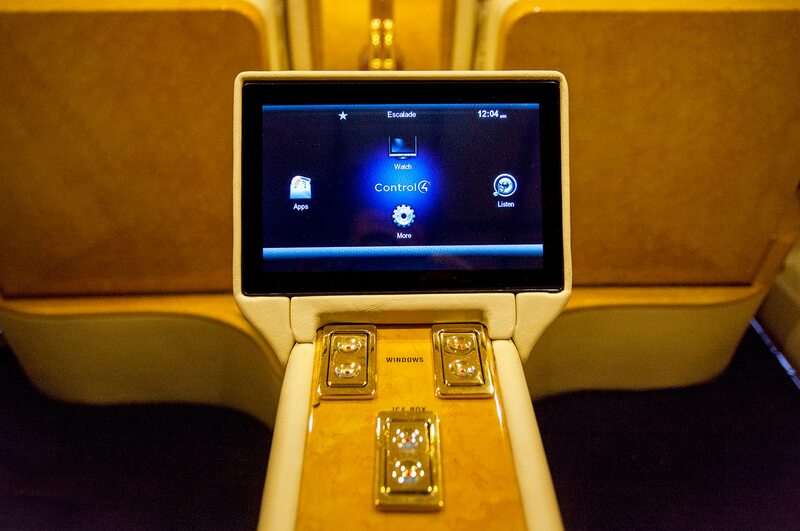 Inside the cabin Lexani replaced the standard second- and third-row seating with a pair of power-adjustable, Italian leather-trimmed captain’s chairs. 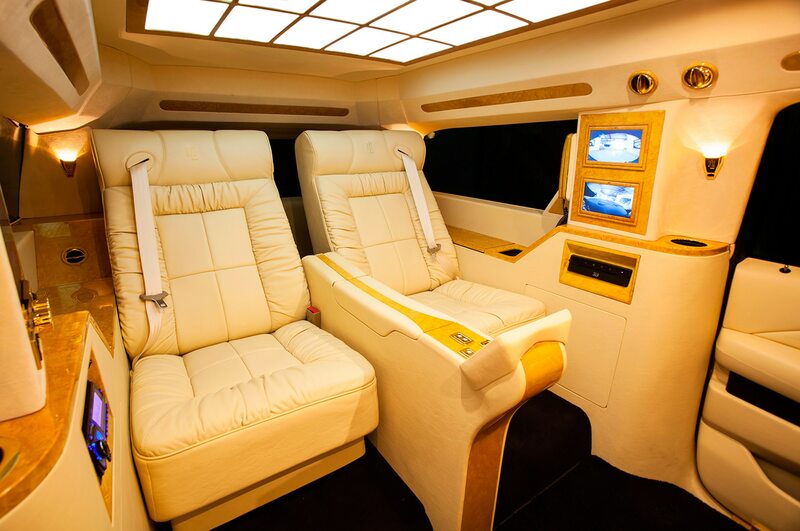 The seats, of course equipped with essential heating and massage functions, face a pair of foldable jump seats for additional passenger capacity. 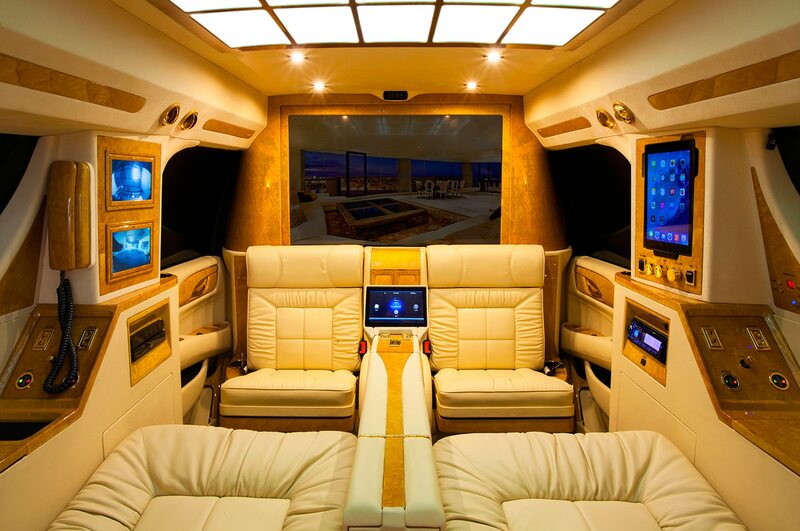 Lexani lined the 2015 Cadillac Escalade Concept One with sumptuous burl wood trim at every turn, and a limousine-style partition keeps the environment insulated and private from the outside world. 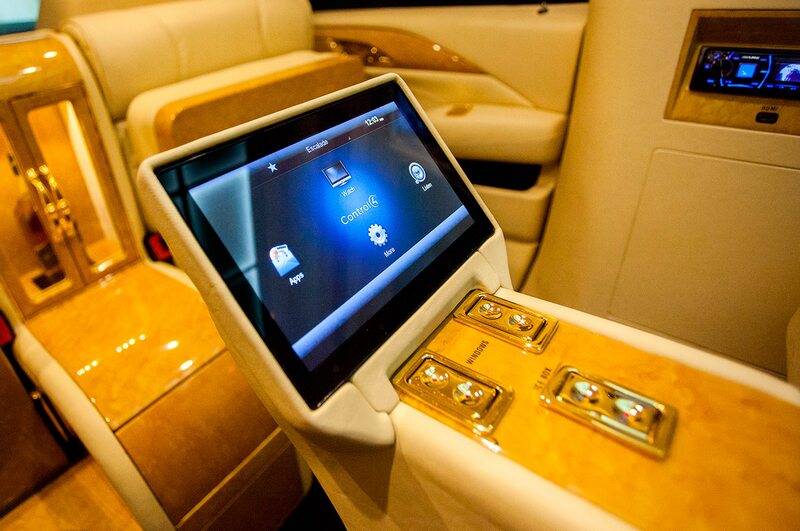 Technology is a major component of the Lexani 2015 Cadillac Escalade Concept One, so well-heeled executives and the powerful elite can stay connected to their business activities while in transit. 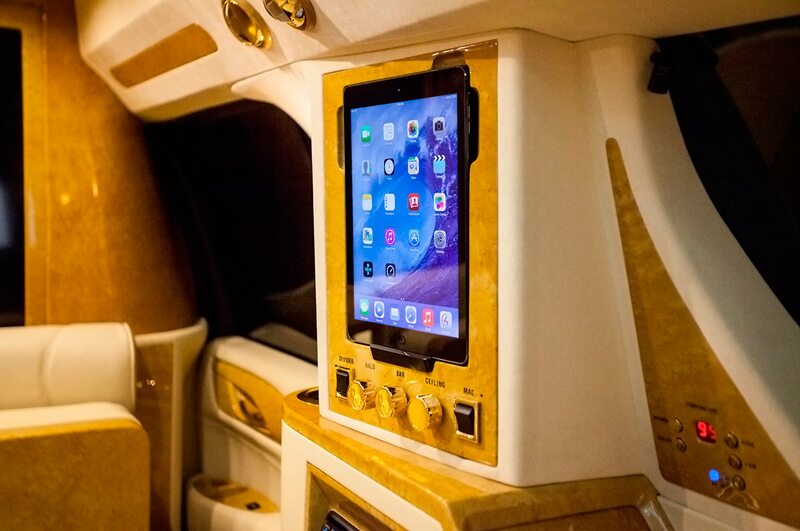 The interior includes an integrated iPad Air tablet, optional video conferencing using any number of the vehicle’s video monitors, an optional espresso machine, and a 40-inch Samsung LED Smart TV. 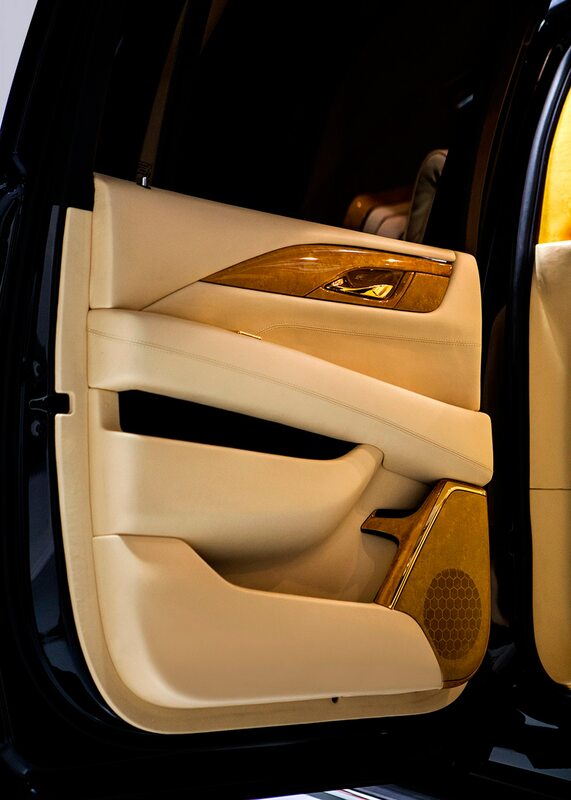 Transporting precious cargo is no obstacle, as the Lexani Concept One has both available armor and a built-in electronic security vault. 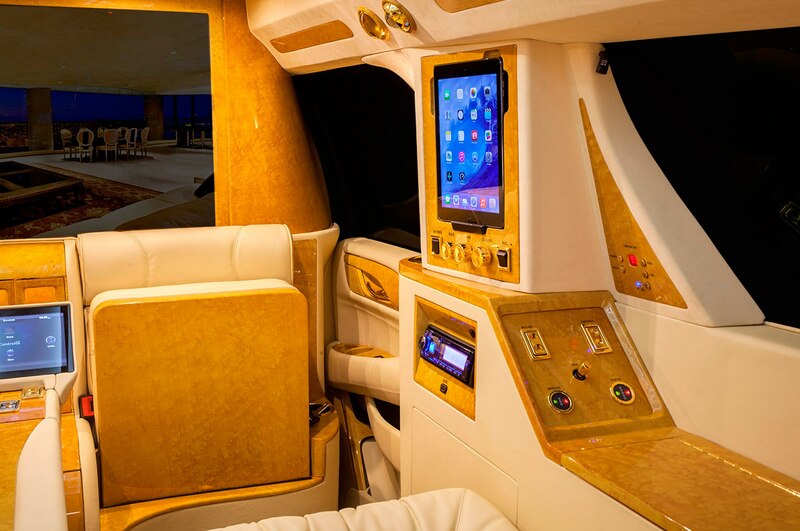 It wouldn’t make a bad party bus, either. 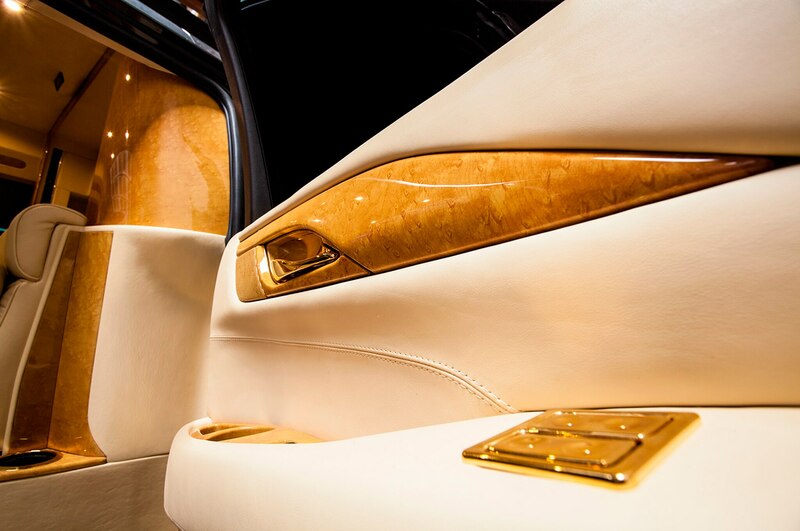 In keeping with other super-luxury vehicles, Lexani is more than willing to accommodate the specific needs and requests of its deep-pocketed clients. 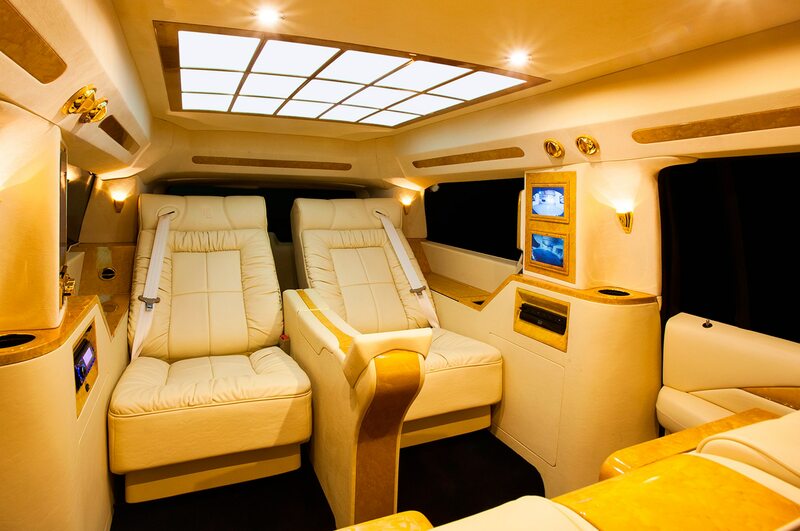 The 2015 Cadillac Escalade Concept One starts at $320,000, which is a stratospheric leap from the 2015 Cadillac Escalade ESV’s $74,690 entry price. 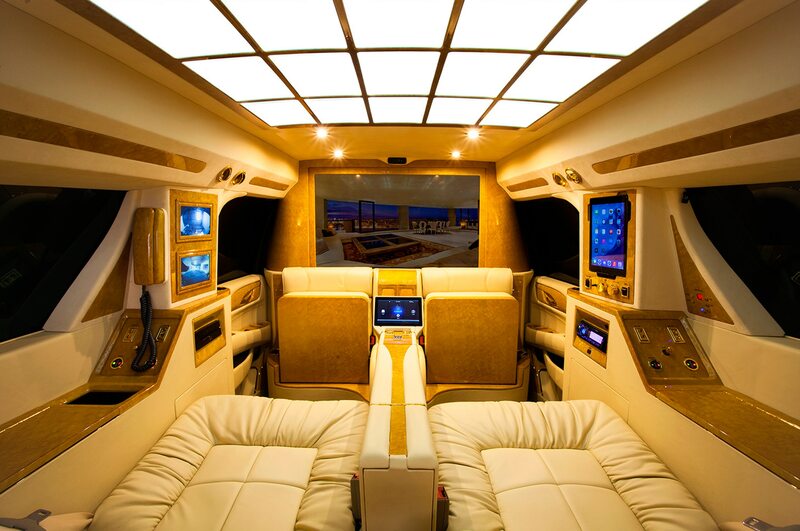 Check out Lexani’s video of the lovely Concept One’s interior, and let us know in the comments if you think this ultimate Escalade stands up to the extravagance of the best from Rolls-Royce, Bentley, and Range Rover.